Organic Bean Cassoulet from the Free & Easy range of foods. Low in fat, wheat free and gluten-free, this cassoulet is deliciously simple. 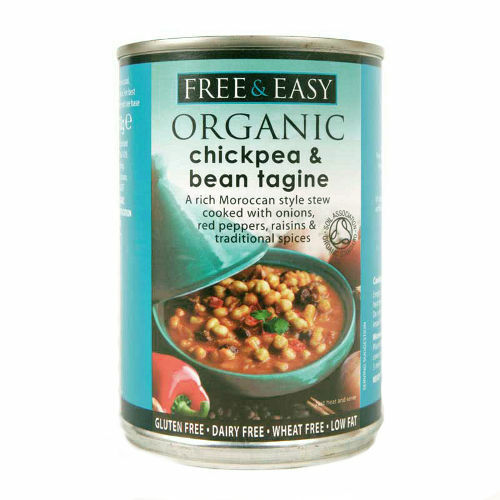 The Free & Easy Chick Pea & Bean Tagine 400g product ethics are indicated below. To learn more about these product ethics and to see related products, follow the links below. Good with cous cous when you havent got time to make a proper meal. There are currently no questions to display about Free & Easy Chick Pea & Bean Tagine 400g.